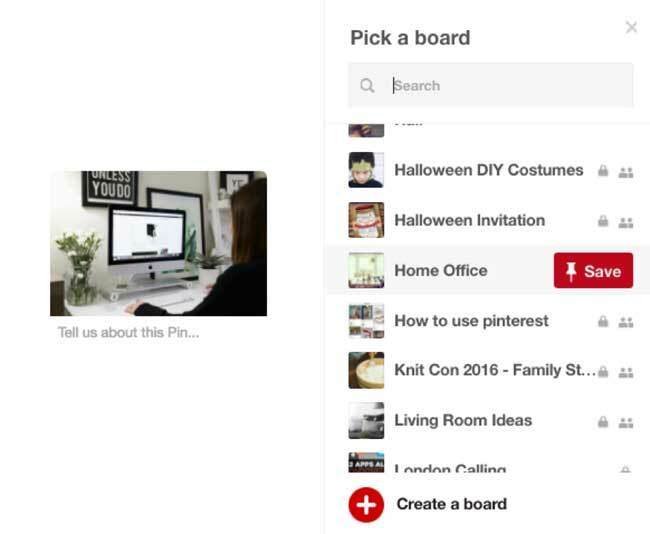 Pinterest is the world’s catalogue of ideas, and has 10 million unique visitors per month from the UK alone. People visit Pinterest for new ideas to try – from food recipes to home decor ideas to fashion tips and more. The very best ideas are created by businesses and bloggers like you. In the past, Pinterest removed Affiliate Links from its platform because spammers were abusing them. Now that Pinterest’s spam detection system is more sophisticated, Affiliate Links are back. This means you can earn money by Pinning your favourite products and recommendations from affiliate networks and getting clicks on those Pins. 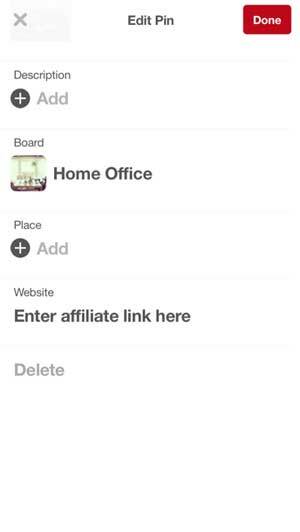 Using your own AssociateID or TrackingID, you can post as much affiliate content as you like – just as you would on your website or other channels. 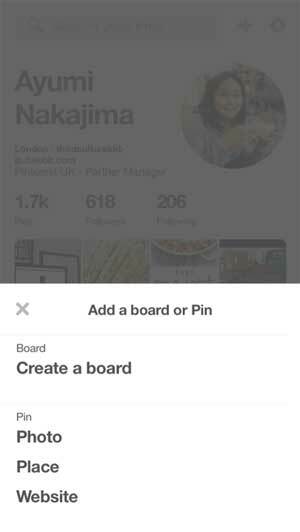 To get started with a Pinterest account related to your website, you can create an account from the Business Site. You can also download the app from the Apple App Store or Google Play. The idea is to curate content based on your taste, style, interests or business goals and save it into relevant boards. So food bloggers can create a board with cookbooks; fashion bloggers their favourite style items and so on. The content you create can include your Affiliate Link – but not everything needs to have one. Instead, in order to tell your brand story in a natural and authentic way, we recommend you also save non-affiliate content, by saving Pins that already exist on Pinterest, or interesting content directly from the web. People discover your content via the home feed, category feed, related Pins, or search. If people click through to your Affiliate Link, you will be paid if qualified sales happen. People can also save your content to their own board – and the great news is that even though your content is saved on someone else’s board, you can still get paid when someone clicks on it. How do I create a Pin? Look for the ‘+’ icon in the top-right corner. If you have an image saved, select ‘Upload an image’. Alternatively, if you want to use an image from a product’s website, select ‘Save from a website’ and enter the website’s URL. You can also save content from a website by using the Save button (if available), or with the Pinterest browser button. Select the board you’d like to save the Pin into. 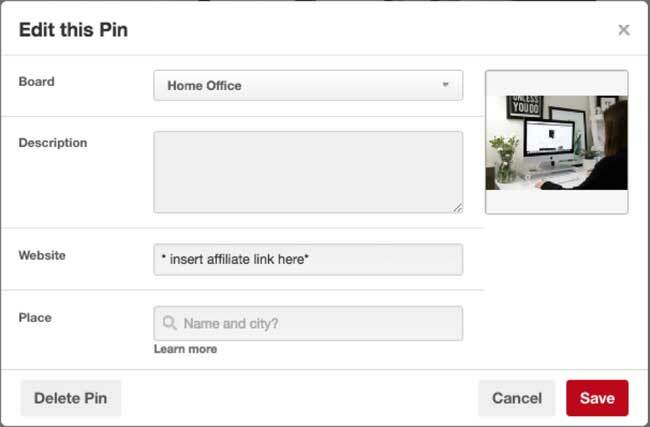 Go to the Pin, and click Edit, then insert your Affiliate Link in the Website field. Use the Amazon Associates SiteStripe to create a text link that includes your Associate ID or Tracking ID. Copy this link, including all the parameters, into the Website field. On your profile, tap the ‘+’ icon in the top-right corner. Select ‘Photo’ to upload an image, or ‘Website’ to select an image from a website. Select which board you want to save it in. Then go back to your pin and click Edit (the pencil icon). Insert your Affiliate Link in the Website field. Don’t use cloaking, off-domain redirects, or any other technical measures to spam users, or to intentionally obscure a Pin’s final destination. If you want to use more advanced publishing features such as scheduled pinning, you can use a tool from one of Pinterest’s certified Content Publishing MDPs (Marketing Developer Partners). You can find the list of partners here. A guide to Pinterest’s tools, analytics and business features is provided here. 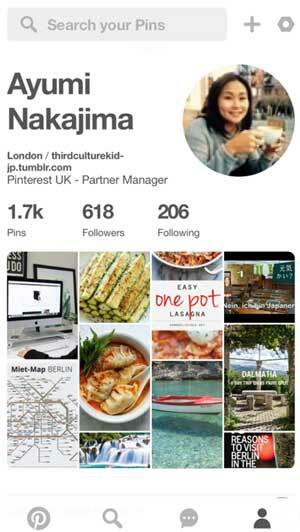 A final tip: vertical pins appear larger on Pinterest!